Messages : 25 Don't forget to read our very complete Wiki (glx-dock.org/ww_page.php) ! But don't be shy to post all your questions or bugs here ! The version of Cairo-Dock ('cairo-dock -v' in a terminal). Any other details you think could be useful . This file (/usr/share/icons/Humanity/apps/48/accessories-text-editor.svg) doesn't exist or is not readable. Messages : 1904 Have you tried running it with cairo-dock -c ? Messages : 25 Both fail - interestingly if I remove the akmod.nvidia and all associated nvidia drivers etc, and leave nouveau disabled - then reboot and run it (with really lowend graphics and hugh fonts and text) it works. Soooo it looks like it's something in the nvidia drivers causing this....?!? Those errors above on starting are ok? They look pretty ominous to me. Both complain of no compiz? Where else can I look for errors, xsession or somewhere else? Messages : 25 Here are the libraries that are linked against cairo-dock. Can anyone see any glaringly obvious libraries that might be causing a problem? Also this is nvidia proprietary drivers installed. I will try running nouveau drivers and see if I can getting it running with those to rule out a problem with the nvidia drivers, but i wouldn't have thought they would cause a problem? Or is there a problem with the permissions? could you please try gsettings get org.gnome.desktop.interface document-font-name and dconf read /org/gnome/desktop/interface/font-name ? the Switcher applet couldn't get the wallpaper; maybe GS doesn't use standard methods to set the wallpaper ? I don't see the bar at all. All I see is the workspace indicator on the desktop but the dock itself doesn't show at all! This bug appears to be affecting alot of people - not the gconf part but the bar itself either not loading, or having missing icons, or only working when the -c option. It appears to be slowly regressing and it appears to be a bug in one of the mesa libraries. Should I try building an earlier version of CD or would that be pointless? Can you tell me how to debug CD also? are there debug env variables, or should I build it with debug flags set etc to try and help track down the cause of this? Messages : 25 Here is a screenshot of what it looks like. The configuration is to always be on top. which value is correct for you (it should be the same as the one you get in menus) ? and since the dock doesn't find the default font, which font do you get in the icons' labels (if you can recognize it) ? My card is an NVidia GTX 560TI 1Gb - and yes usually the proprietary drivers are the ones that work best and I've been using them manually installed for years. Is there any other info I can provide you or some debug settings I can apply to get you more info? 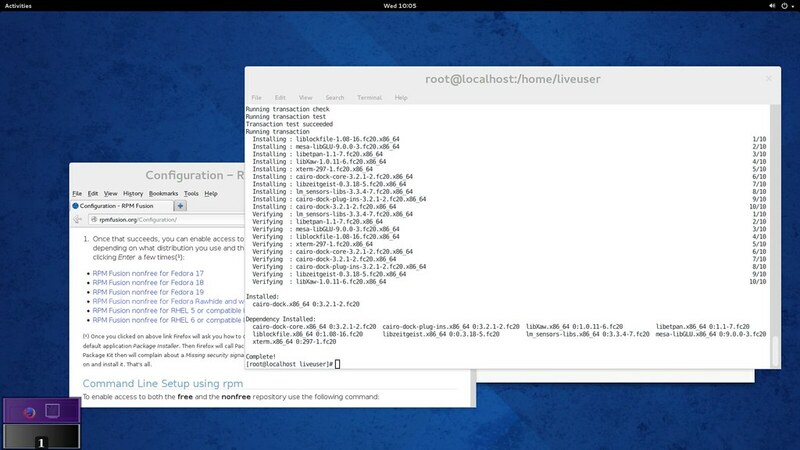 I can confirm that both the 3.2.1 and 3.3.2 work in fedora 19 with gnome shell 3.8.2. Gnome-shell is moving to mutter and wayland so perhaps there is something there that is causing this... 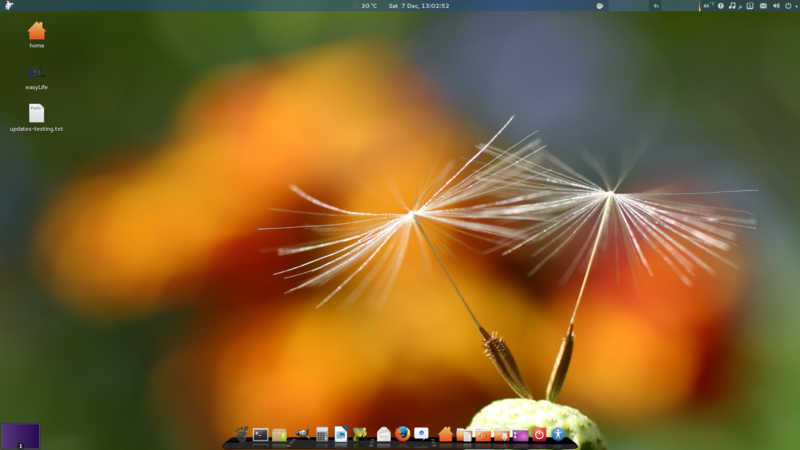 But with Fedora 20 being released in 5 days time, I think you will be getting alot of complaints once people start installing it, as gnome-shell 3.10.2 is the default desktop for it. I'll guarantee you it won't be the nvidia drivers causing this, because it's not working even with the nouveau drivers. It dosn't work on the default Fedora Live build with nothing else installed. But I can boot into the Fedora 19 live build and install cairo-dock and it runs perfectly right away. So yes the logical thing is that it is something in Gnome-Shell causing this as that is a major upgrade from 3.8.2 to 3.10.2 and there are all sorts of issues with it. As you can see only the Workspace plugin is shown on the desktop. However if I restart it with cairo-dock -o then it displays normally. So I logged back into Gnome-Shell and started cairo-dock and it starts and display's properly. So it is some bug with the composite manager. Once I had selected the tick in XFCE, it remembered that setting. So even if I deleted the .config/cairo-dock folder, and restarted it with cairo-dock -o it wouldn't ask me to enable the composite manager in XFCE. So it appears to store that setting somewhere else. What I needed to do to get it to ask me about the composite manager was to add the composite plugin to the dock, toggle it off, then close the dock, and delete the .config/cairo-dock folder. Then on startup with cairo-dock -o it would ask me again if I wanted to enable it. Once I load Cairo-Dock back up again however the composite manager isn't disabled, it's still enabled, so it means that step to disable the composite manager is not working, and I can't test my theory. So the way I see it what should happen, if I log back into XFCE, and disable the composite manager, then exit the dock, delete the cairo-dock folder, logout, log into gnome-shell and start cairo-dock, it should be back to the default behaviour of only showing the workspace plugin on the desktop and no dock. I'll report back onec I've done it. Messages : 25 FOR F$^$#&KS SAKE! It has nothing to do with Cairo-dock. It has to do with the F#^&*# problem with gnome-shell's new mutter code. What is happening is my monitor is being detected as 7" now since gnome-shell 3.10.2. instead of 55". 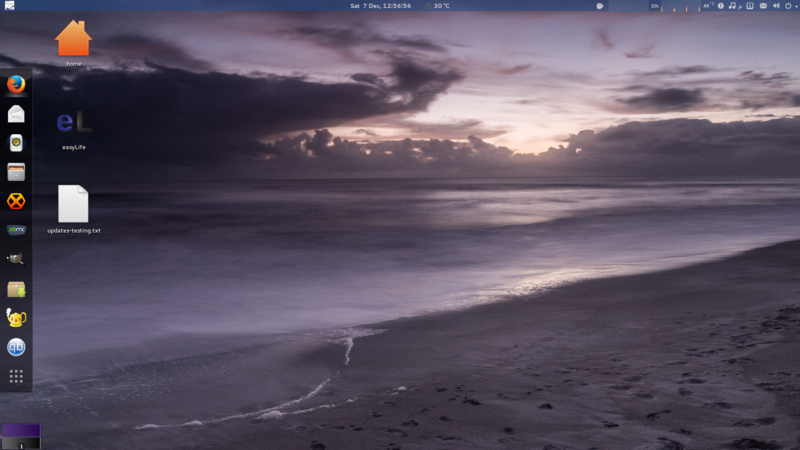 /etc/environment and removed the line GDK_SCALE=1, I rebooted and now the dock isn't displaying and I can only see the workspace plugin again on the desktop! What I have also just noticed is that without that setting the desktop itself is being expanded down past the bottom of my screen, so it's like the dock is displaying off screen in fairy land.